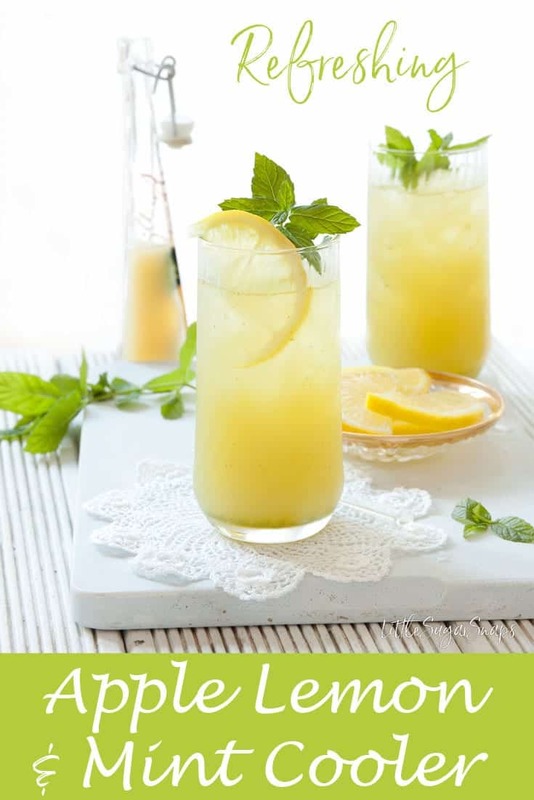 This Fruit Cooler is a simple blend of apple juice, lemon juice and fresh mint. It is fresh, fruity, tangy and amazingly thirst quenching. The weather may have taken a step towards autumn in the last few days, but I’m still pretending that it’s summer. The truth is, I came back from Italy bursting to share some holiday inspired recipes with you and nothing, not even a smidge of rain, is going to stop me until I’m through. 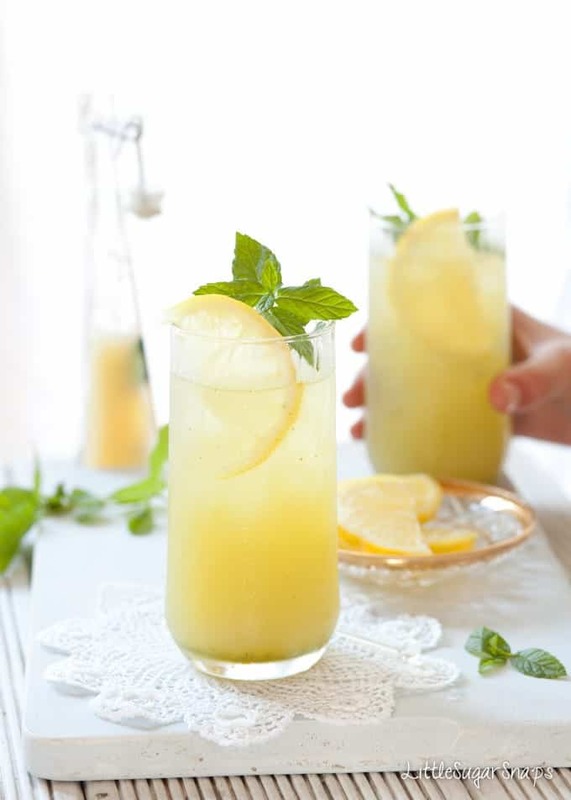 Fortunately, this Apple, Lemon & Mint Fruit Cooler is my third and final recipe celebrating all that was well, from a culinary perspective, about my holiday in Italy this summer. After this I’ll submit to autumn and the tempting bounty it has to offer. But for now let me tell you all about this juicy little Fruit Cooler of mine. 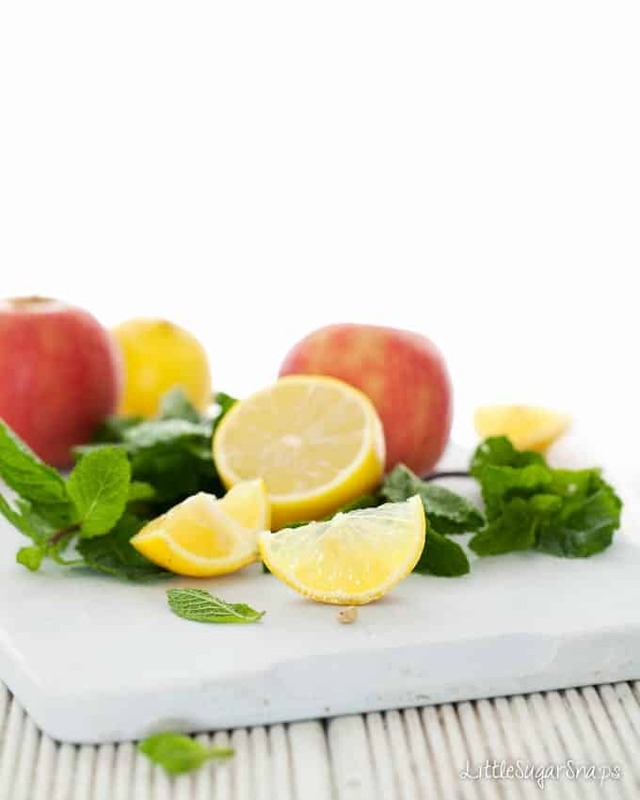 It’s a simple blend of apple juice, lemon juice and fresh mint. Poured over ice it offers extreme refreshment. It is fresh, fruity, tangy and amazingly thirst quenching. The inspiration behind this revitalising Fruit Cooler is again, time spent in Venice. After a full day of wandering around the maze of alleyways in this wonderful city we were all feeling hot and rather tired. What we needed was a cold, refreshing drink somewhere quiet and shady. The problem was that we had a ferry to catch and no time to stop off for a sit down and a drink in one of the tempting cafes. There was only one thing for it and that was to duck into a shop, buy a drink and settle on shady spot in a quiet square for 5 minutes of rest and pure liquid refreshment before dashing for the ferry. This is the drink that I picked. From experience, I can testify as to how invigorating this Fruit Cooler is in the heat of the day. This fruit cooler is simple and quick to prepare and contains just three purely natural ingredients. Served over ice it is perfect as a thirst quencher on hot summer days and after exercise. But it’s also a lovely alternative to regular juice at parties, BBQs and get-togethers throughout the year. Forget that it’s now technically autumn. Treat yourself to some Apple, Lemon & Mint Fruit Cooler instead and think back to those happy, balmy summer days. And to round things off, here’s a final Venice image from my family archives – the view from the Rialto bridge after nightfall. I could quite happily return to this city, camera in hand, year-after-year and never tire of it. 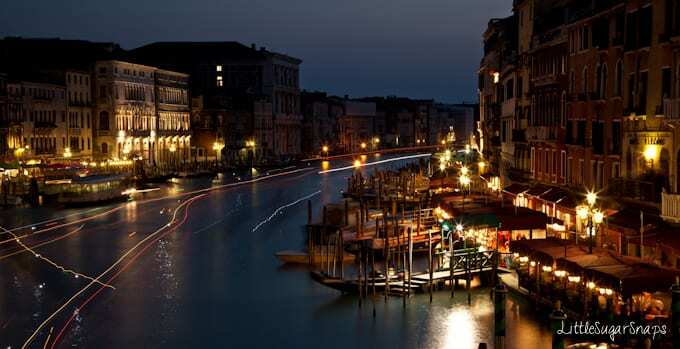 Want more recipes inspired by Venice? Try an Venetian Aperol Spritz or some Fig Prosciutto Gorgonzola Crostini. This Fruit Cooler of mine is a simple blend of apple juice, lemon juice and fresh mint. It is fresh, fruity, tangy and amazingly thirst quenching. The mint will naturally settle at the bottom of the juice when stored. Gently shake the bottle prior to serving to ensure the mint is re-distributed. This looks so refreshing! And hey, it has apple in it, so it is totally Fall-acceptable. 😉 Your vacation sounds lovely, and that’s a gorgeous shot. That sounds like such a refreshing treat! I’d love a glass of that right now! Making this now! Is the apple sweet enough? No extra sugar required? 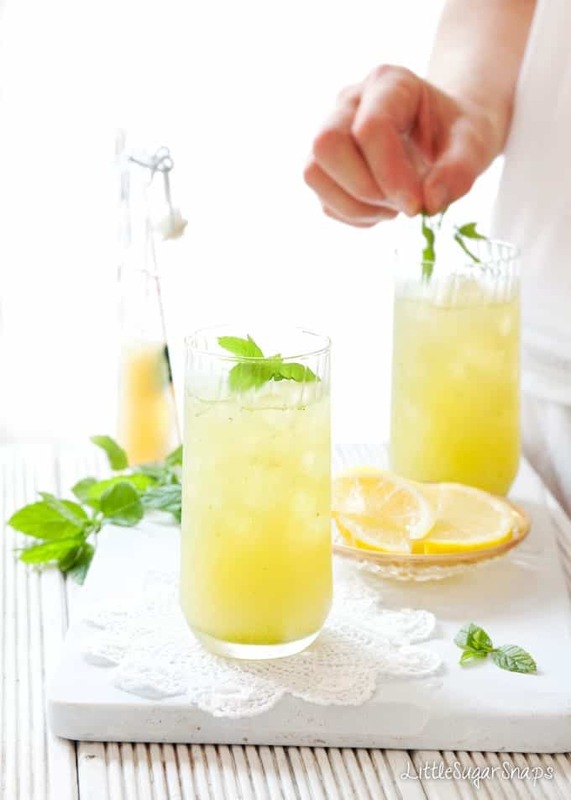 I find it is – it’s intentionally a zesty drink to really quench your thirst on a hot day. If it’s to sharp for your tastes then you could of course add a little sweetener. Jane this looks so refreshing! Can’t wait to give this one a try this weekend. Wishing you a super weekend! You too B – and enjoy this drink.